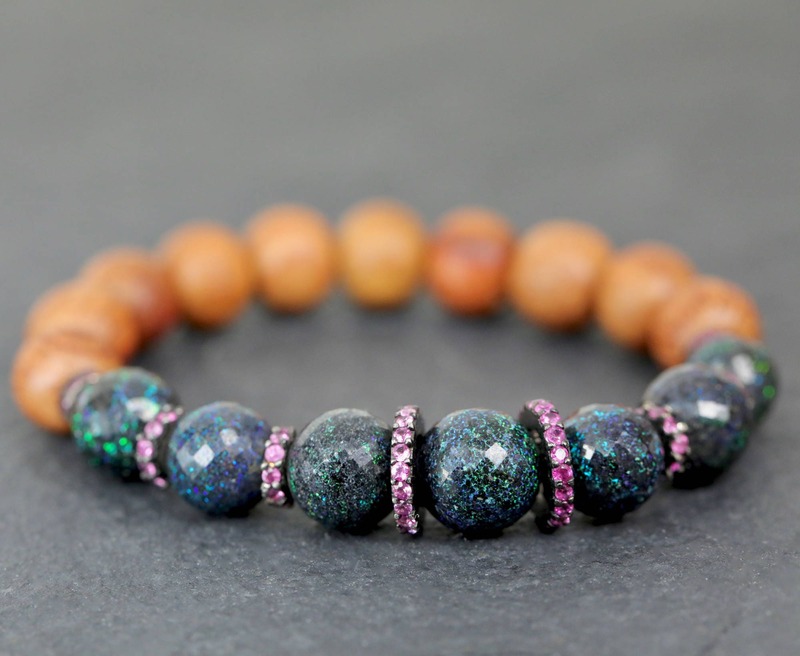 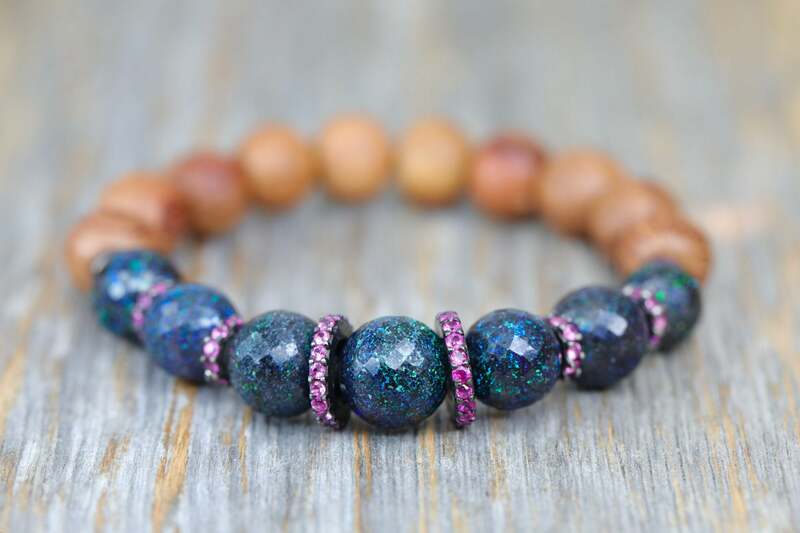 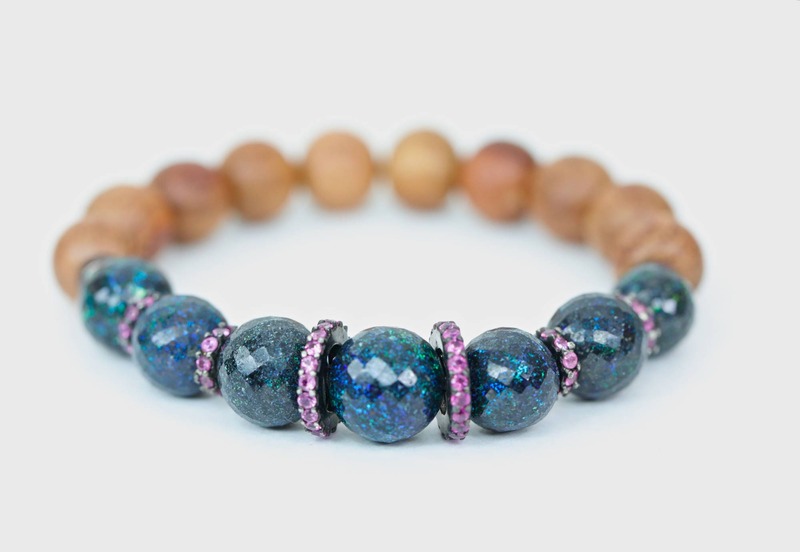 This is a very rare Australian matrix black opal bracelet with premium Narra wood and pave pink sapphires set in oxidized rhodium plated sterling silver. 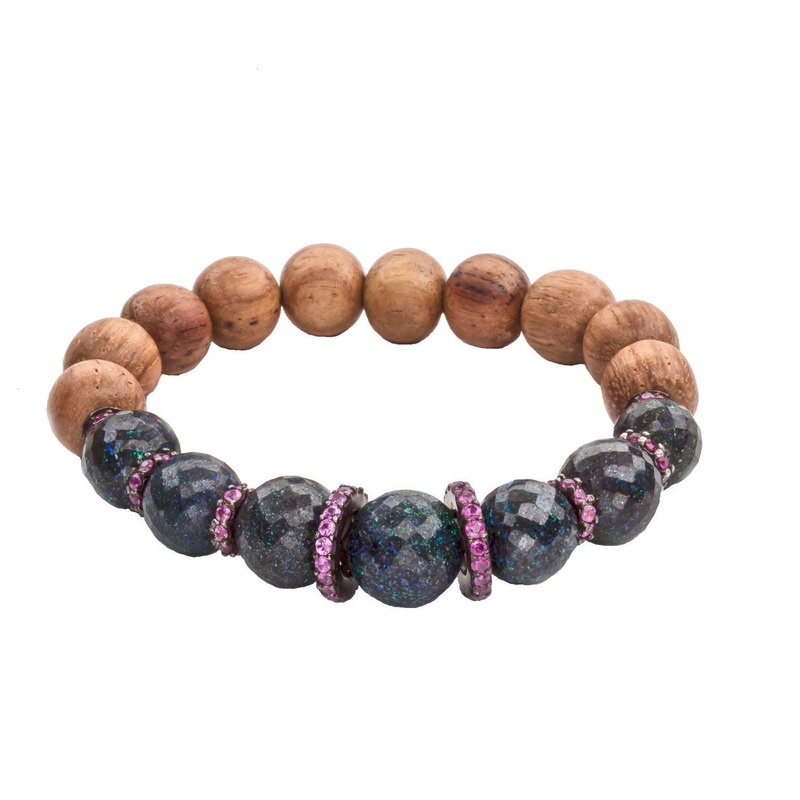 The golden brown wood is premium Narra wood. 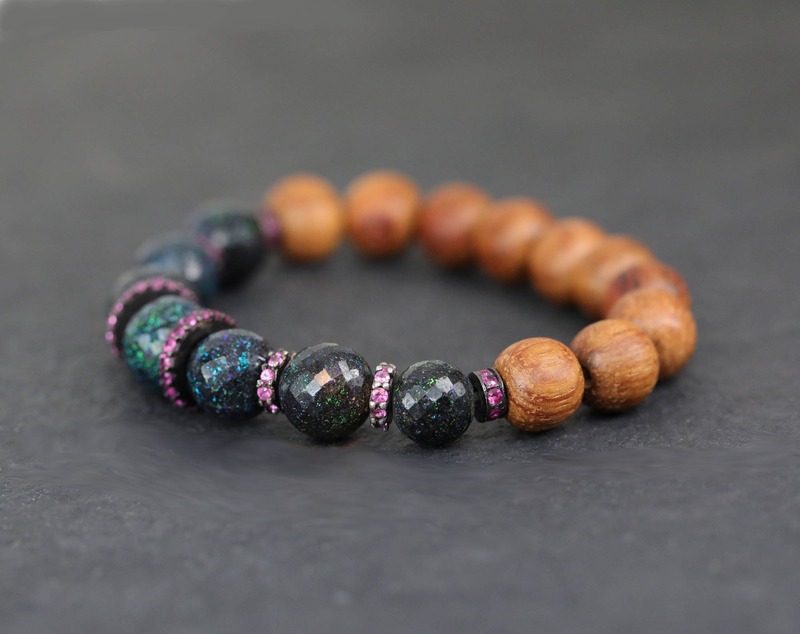 Narra wood beads come from the national tree of the Philippines, also known as the Ancient Tree. 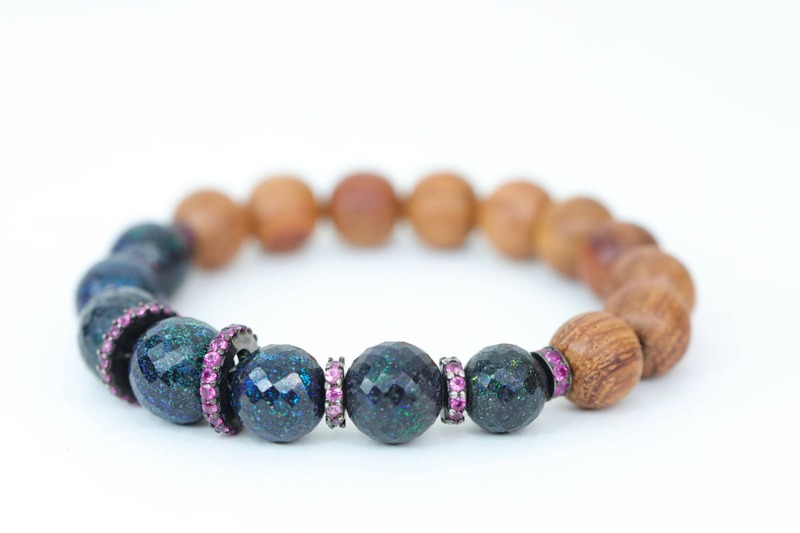 The beads have a light rose scent.